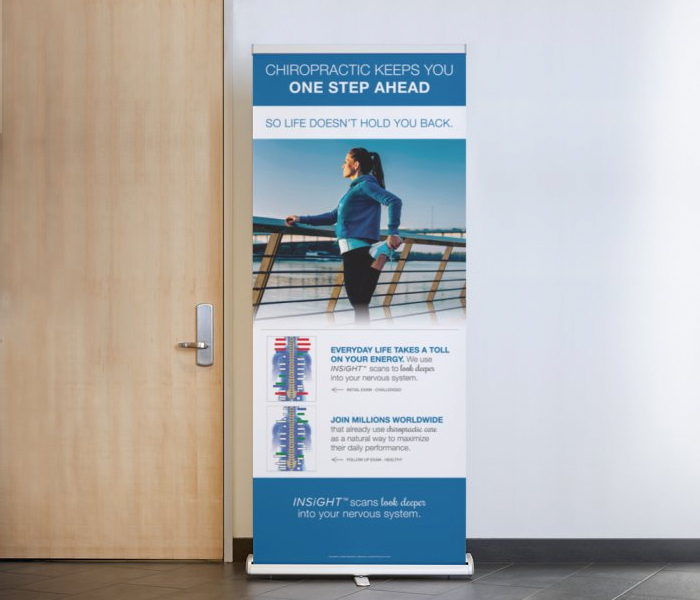 Save $50 for a limited time. 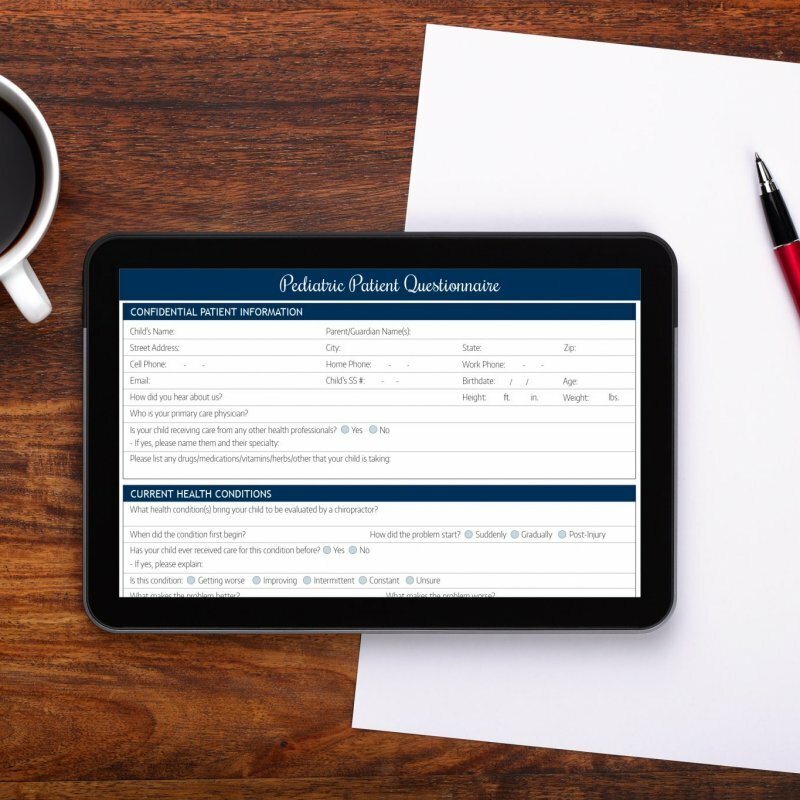 Lead the social media conversation in an efficient and personalized manner. 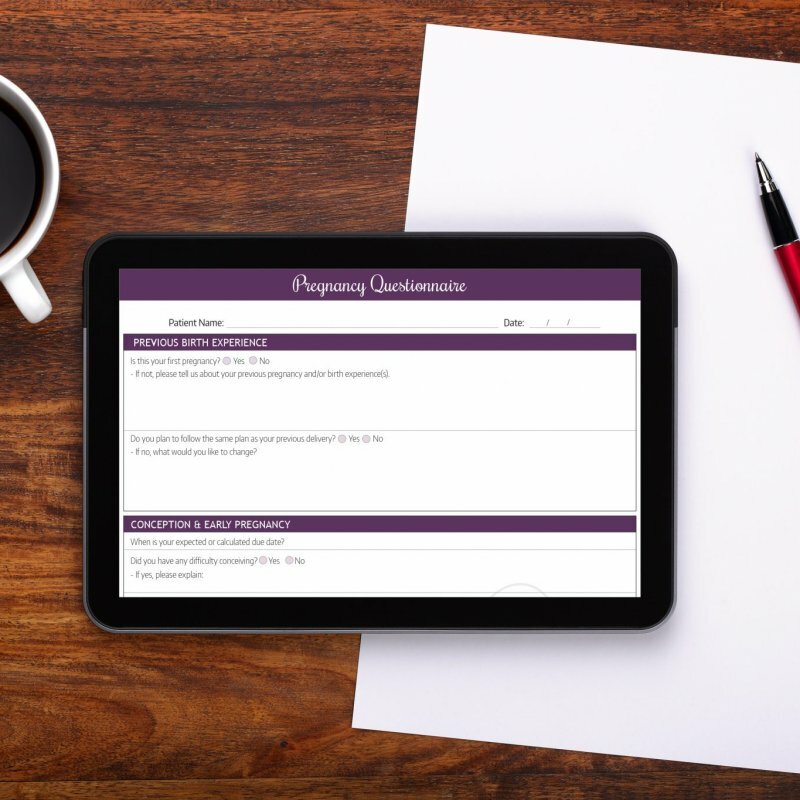 By combining professionally-designed content with your own brand and voice, these customized tools help you to establish brand recognition and authentic authority while increasing referrals and loyalty via Facebook, Instagram and social media. Learn more. 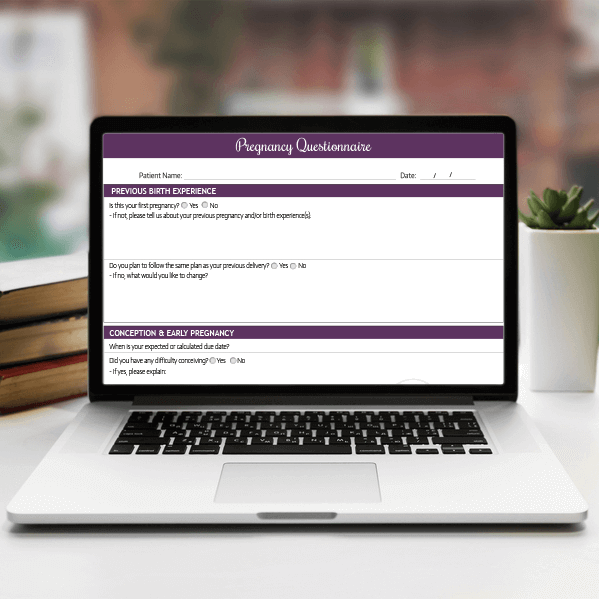 $50 off for a limited time. 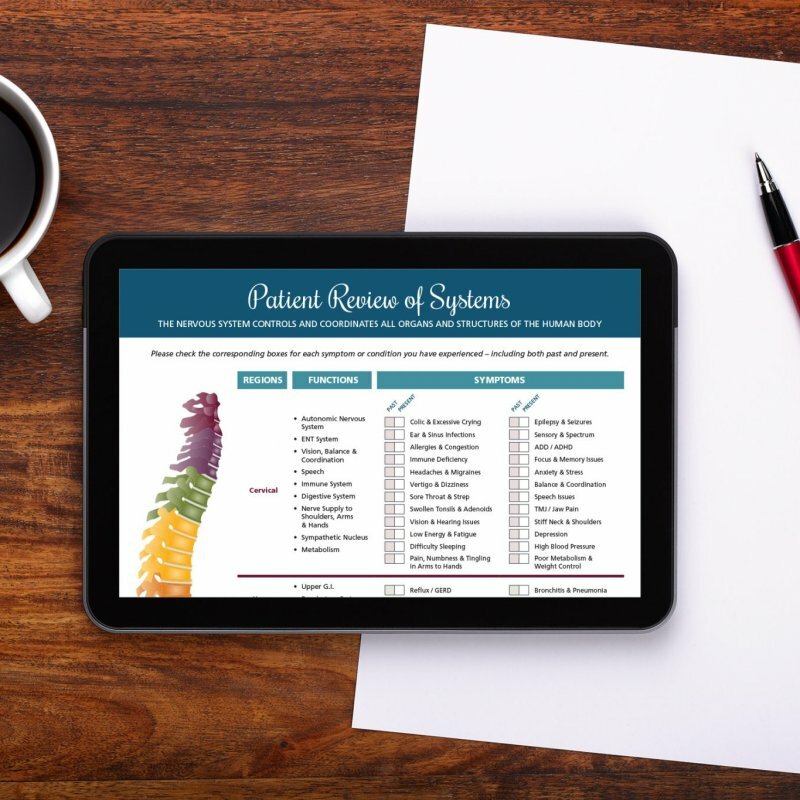 The most personalized and professional reception video in chiropractic! 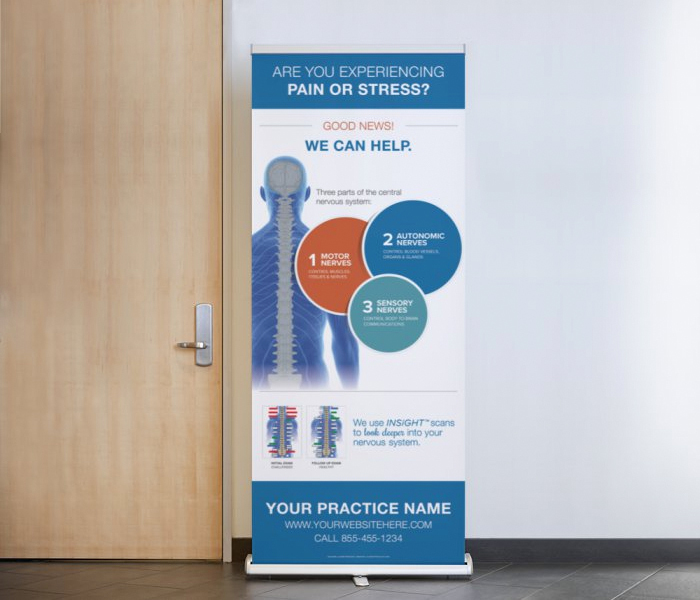 Educate your practice members in style with your own custom video, including hundreds of professionally-designed wide screen images that each feature your logo! Run time is approximately 1 hour and easy to loop for continuous play! 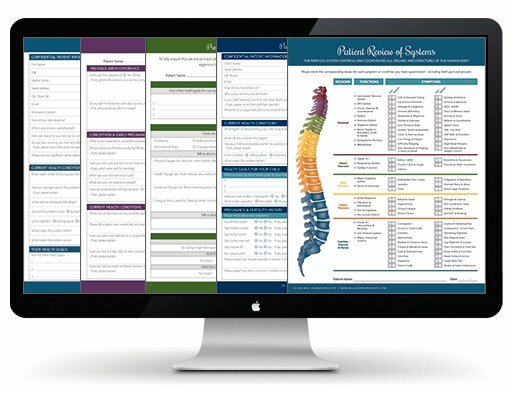 Your unique Reception Pro Video will include 300+ professionally-designed and absolutely stunning images in wide-screen format that feature your practice logo, plus chiropractic education, facts, stats, motivation and more. Unlike DVD’s, your custom .mp4 video file can be used nearly any way you want! 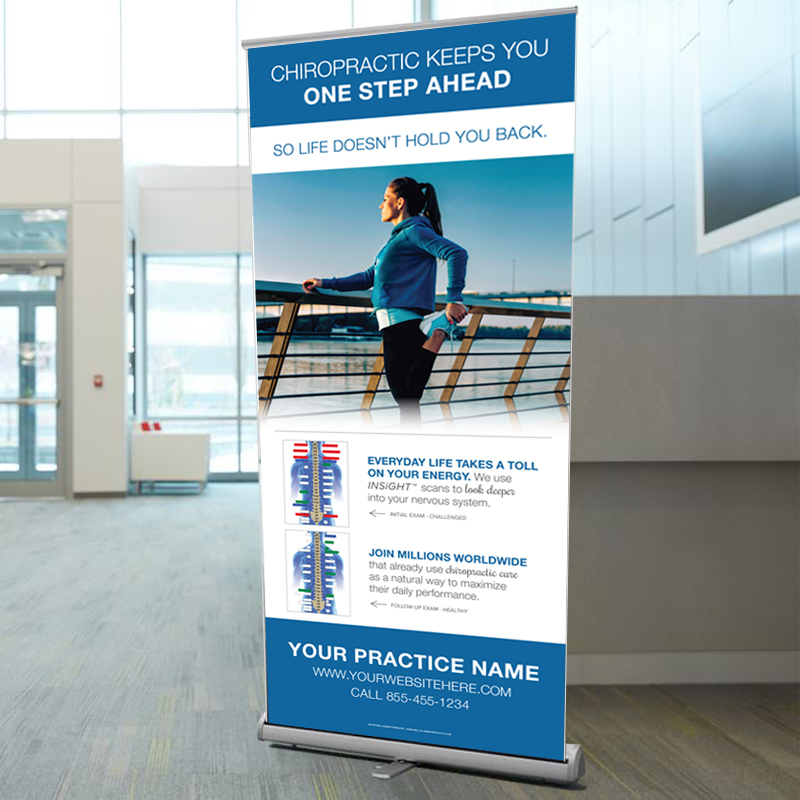 This eye-catching and modern feeling vs. function design is designed for CLA chiropractors that utilize community and event screenings to capture the attention and start a conversation with potential new practice members. Customization and free shipping to U.S. and Canada included! 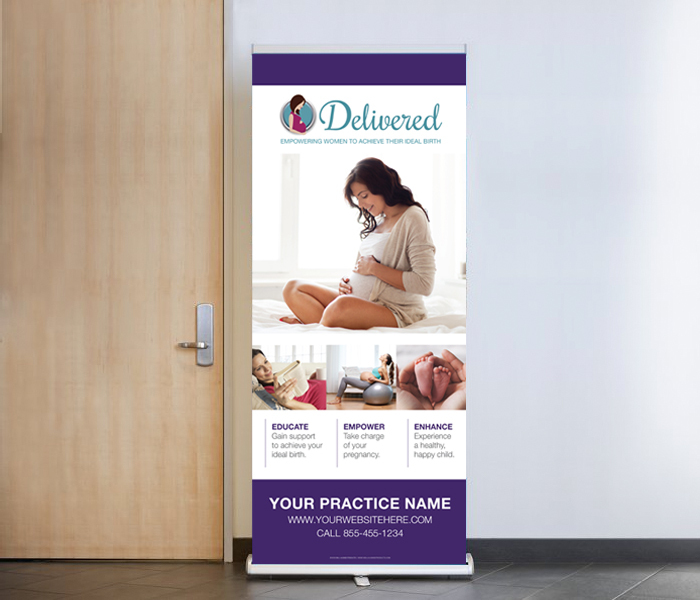 Our design team will add your practice name, website, and/or phone number (optional) for a truly customized marketing tool that helps you gain new practice members in modern style! 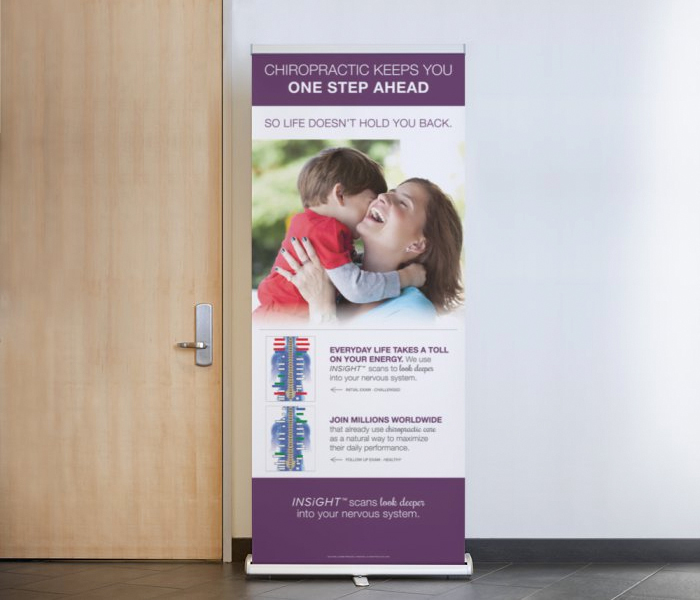 Retractable banner measures 33” x 80” and includes a convenient case for storage and transport. 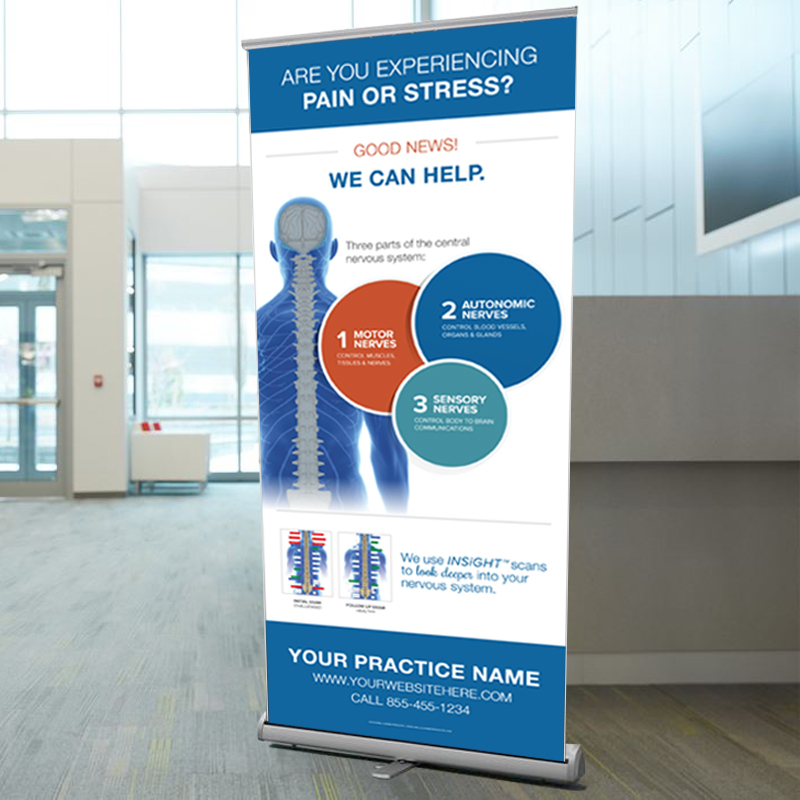 This eye-catching and modern design is designed for CLA chiropractors that utilize community and event screenings to capture the attention and start a conversation with potential new practice members. $50 OFF for a limited time. 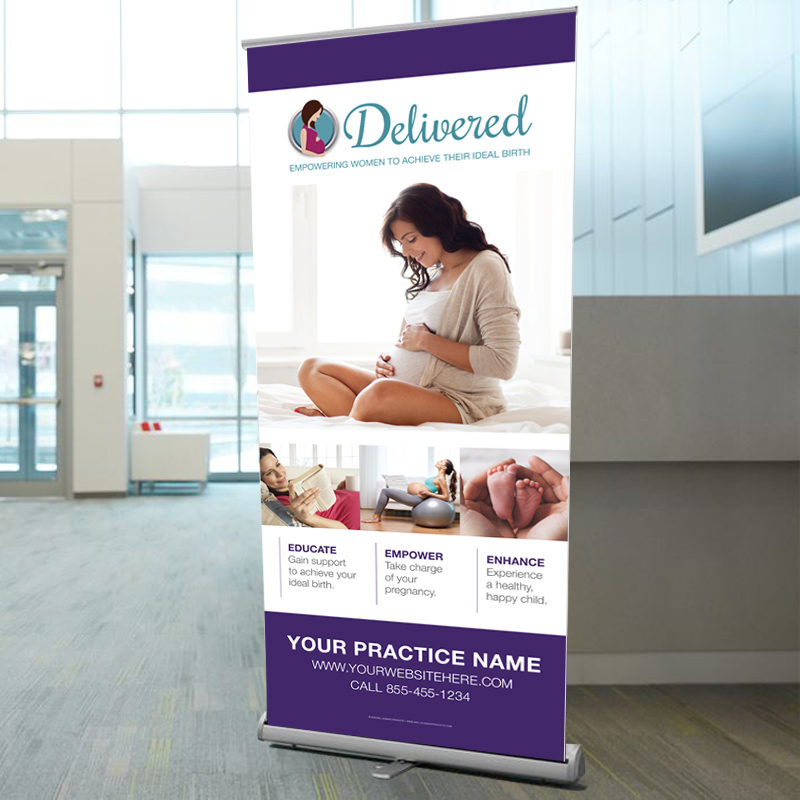 This eye-catching and modern design is designed for Delivered chiropractors and is perfect to promote your local pregnancy workshops both in-practice or in your community. 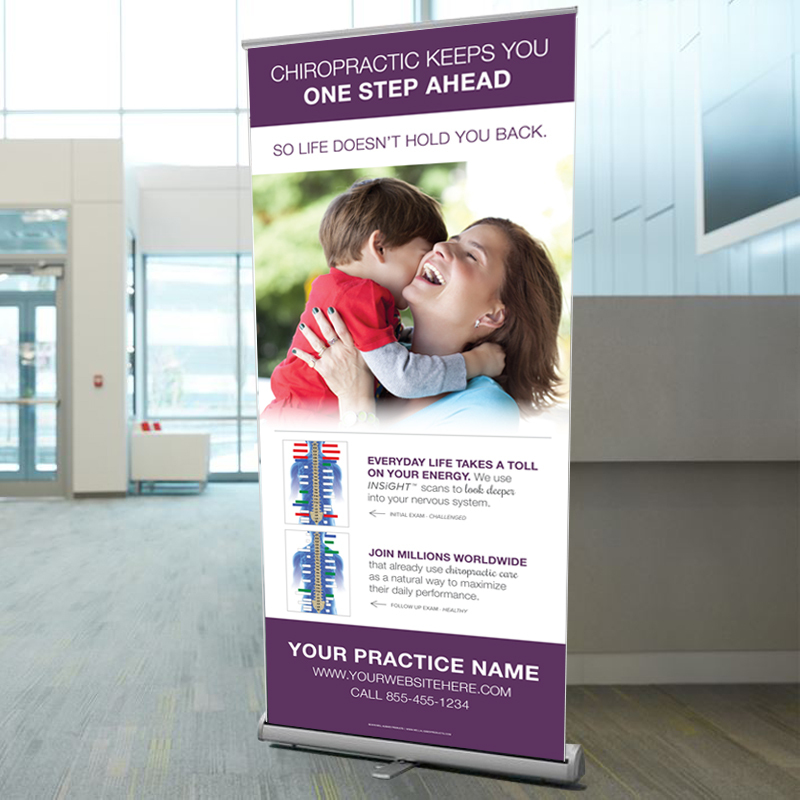 The banners also work great outside your event so that attendees can easily find the workshop.